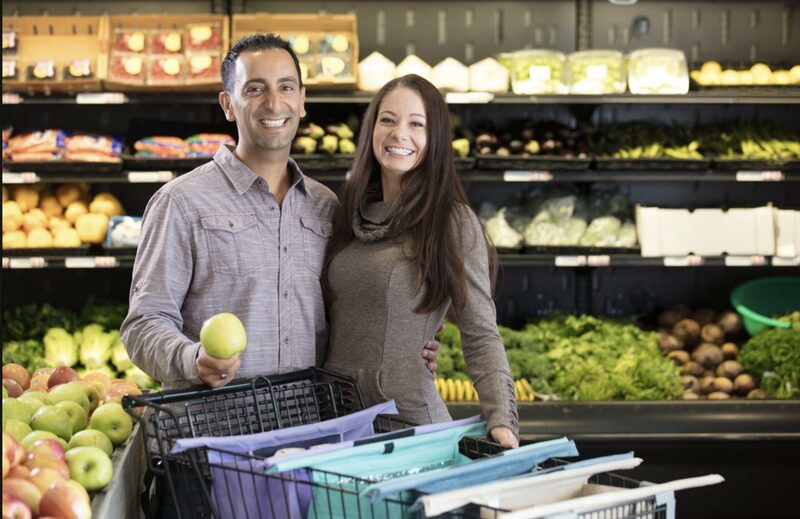 These are the stories of four small businesses on a mission driven by their love for the Earth.All of them are award winners from the Carlsbad Chamber of Commerce 2018 Small Business Awards. Farzan and Jennifer Dehmoubed of Lotus Trolley Bags. COOLA Suncare is now a global company and growing fast. It embodies everything Carlsbad – organic wellness, the outdoor lifestyle, a healthy environment and love for the community. 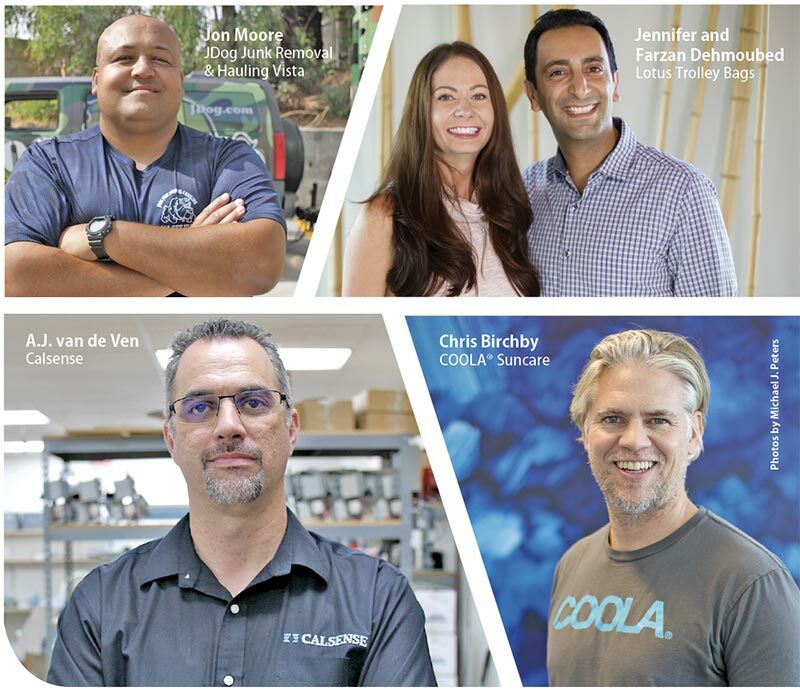 When COOLA was named Best Small Business in Carlsbad by the Carlsbad Chamber of Commerce in October 2018, everything came back full circle. “It was such an honor for all of us at COOLA to win Carlsbad Chamber of Commerce, Best Small Business Award! We love living and working in the community and we’re blessed to be able to do so in a conscientious and connected manner. North County San Diego is simply awesome.” Birchby, also an avid surfer, has a passion for the environment. The community he lives in and loves has pushed COOLA to develop products that are considered Reef-Save. 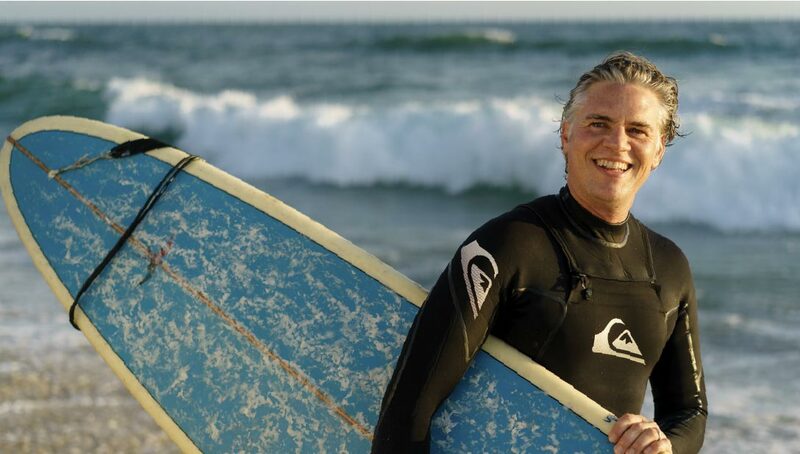 Chris Birchby, founder/CEO of COOLA Suncare is also an avid surfer. He developed his products with a passion for environmental responsibility. Since winning the award last year, COOLA has continued to explore other ways to reach out to more people with its products. “It’s been a whirlwind the last several months as we’ve been gearing up for sun season. We have over a dozen new product launches across both brands, COOLA and Bare Republic, and we’ll be releasing information about them soon. I can give you one teaser – Bare Republic is launching a line of mineral-based SPF FunscreenTM, including products such as Golden DazeTM and Diamond Dust – healthy sunscreens with golden or holographic shimmers!,” said Birchby his excitement and drive palpable. Sometimes love for the environment also means creating services that promote and help make our cities more sustainable. It is no secret that California has a water problem and is constantly looking for ways to make sure we don’t run out of it. Enter Calsense, one of the 2018 Small Business Sustainability Award winners. Calsense was founded in the 1980s when California was going through a big drought. 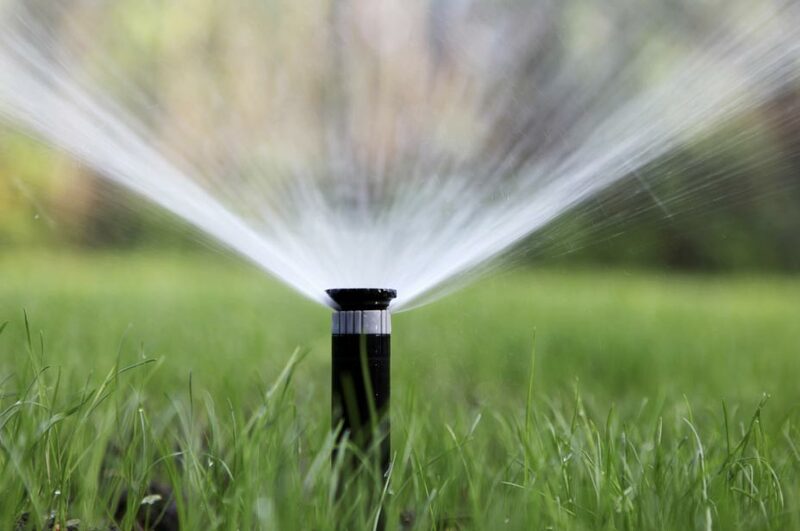 Calsense developed custom irrigation solutions that are meant to conserve water, while saving in labor and also saving money. “The first thing that went through my mind when it was announced Calsense received the 2018 Small Business Sustainability Award was pride. Pride that the hard work our team has put forth over the years to conserve the world’s most precious resource is being recognized. Pride for the difference we have made and continue to make within the City of Carlsbad, a community we have been part of since our establishment in 1986,” said President of Calsense, A.J. van de Ven. The company not only provides a service that’s in essence sustainable, but also implements green business practices as a core value. All Calsense products and services contribute to efficient and sustainable management of water resources. President of JDog Vista, Jon Moore, and his brother Chuck Moore, grew up in San Diego County, very aware of the beautiful beaches that surrounded them. Their junk removal and hauling business, not only helps others get rid of things they no longer use or care for, but makes sure that what gets disposed doesn’t end up in a landfill, the water, or our beaches. 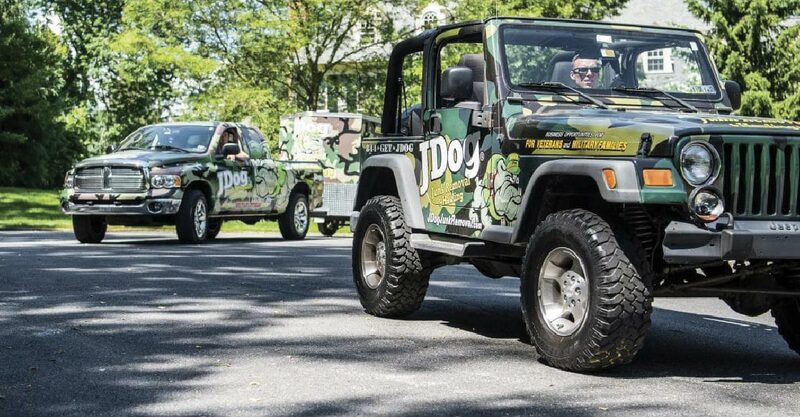 JDog Vista sorts everything they pick up, and they make sure that most things get recycled, reused or repurposed. You can learn more about these great companies in person, as they will be part of the 2019 Green Business Expo at The Flower Fields, on April 17 from 3 – 7pm.